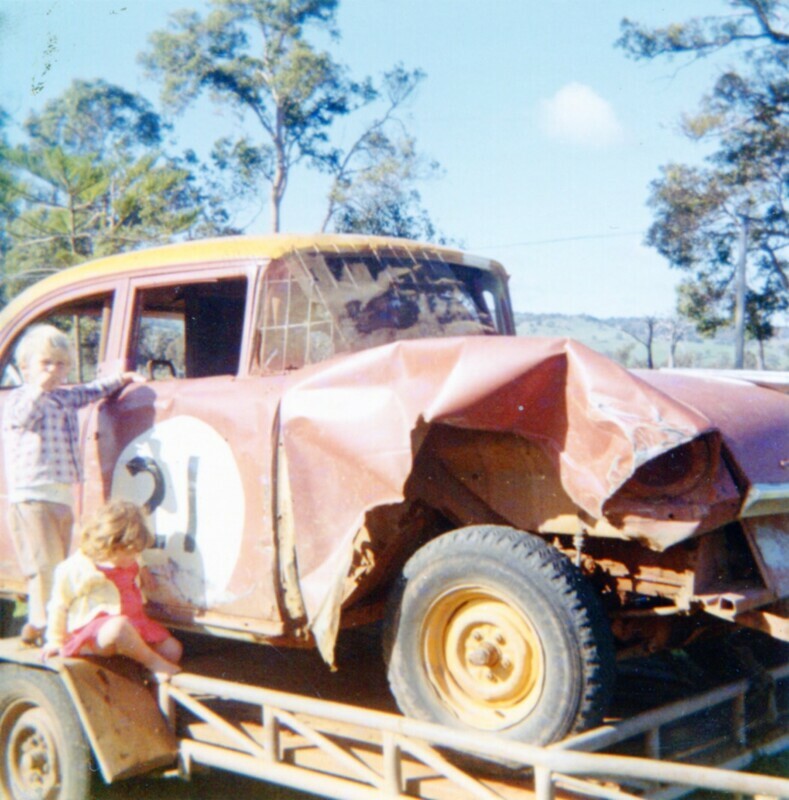 Richard Hartzer raced this coupe with a lot of success at Blicks Raceway in Bunbury during the 1960's. The car was considered quite advanced in its day, with the heavy body guttered of all excess weight and channeled down over the chassis. 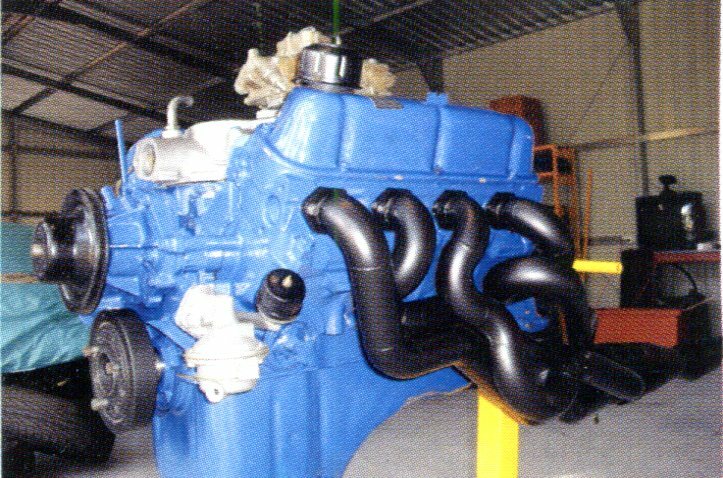 The sidevalve engine was replaced with a more modern Y Block overhead valve Customline engine that was set further back in the chassis than standard for better handling. The front end components fitted up to the standard beam axel were from a 1936 model, with the wide five style front hubs. 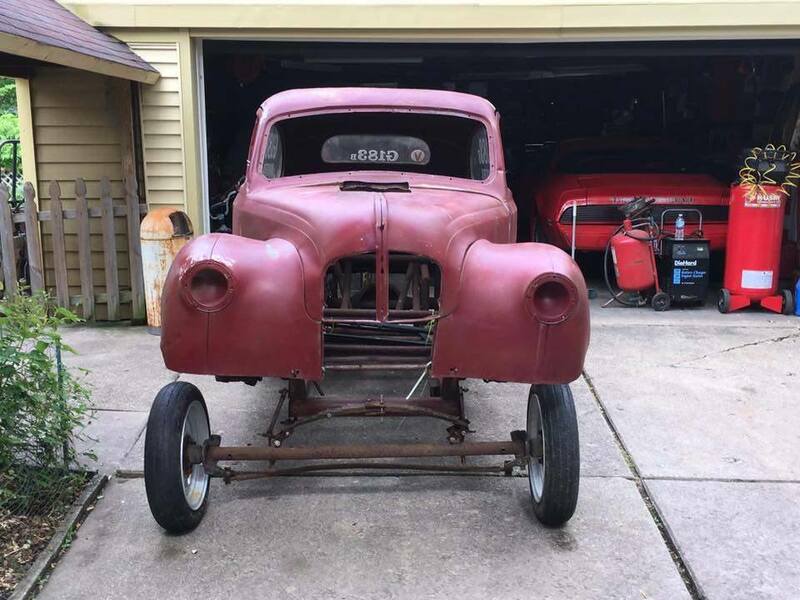 The steering was put through a Holden steering box. The diff was out of a Vangaurd, these were concidered to be the ultimate race car diff of the day, enabling the car to be run in top gear, all this mounted up to a swinging arm rear end. 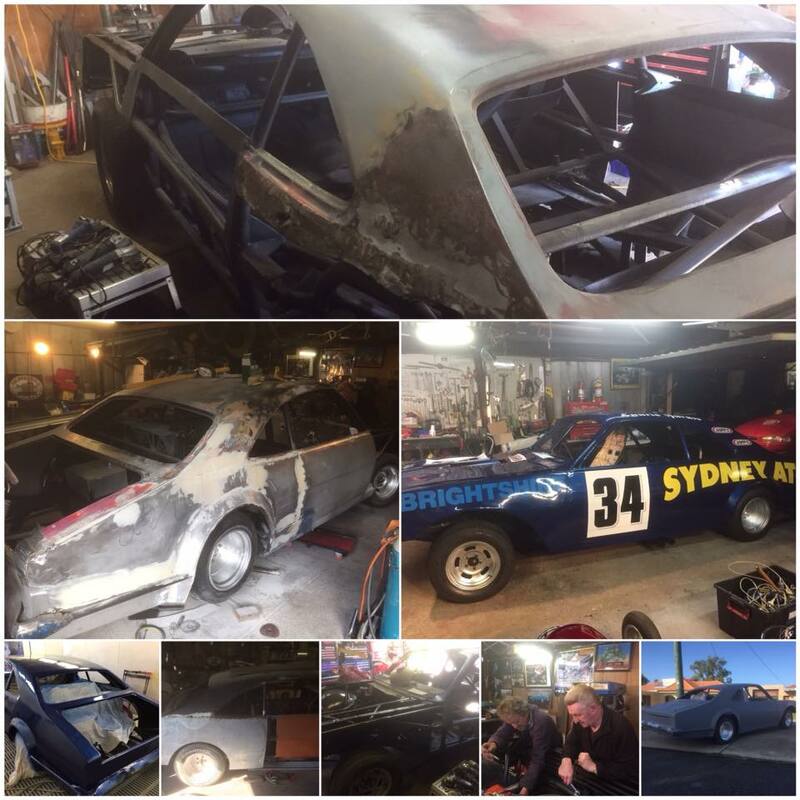 The restoration of the coupe is headed up by Mick Thompson out of Perth in WA, Mick has restored some of the finest Vintage speedway car in WA and is a founding member of the West Coast Vintage and Classic Speedway Club. 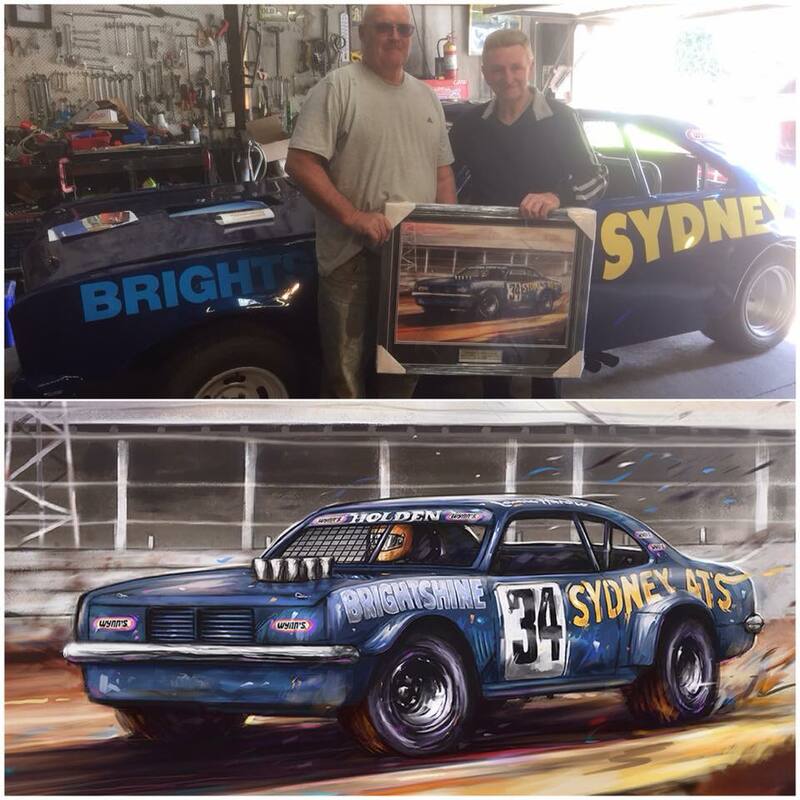 Some of Mick handy work, Left is the John Singleton Mustang and above is the Don Morris Super Mod. 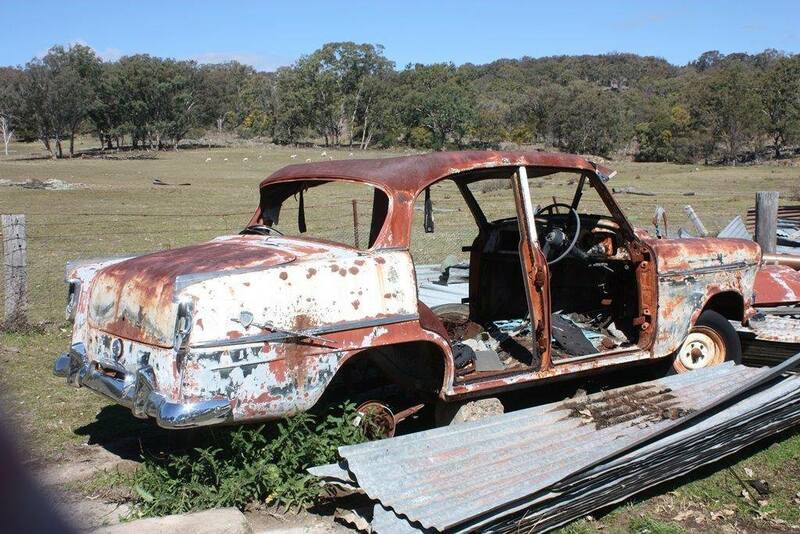 With the state of the body being so poor it was decided to source a replacement fibreglass version out of Victoria, This was an absolute botch up, with me driving to Melbourne with the trailer behind to pick it up in June 2017, only to be told it had not even been started and the company involved could not find the mould, The problem was this mould is possible the only 1934 Ford five window coupe mould in the country, with the standard roof height. 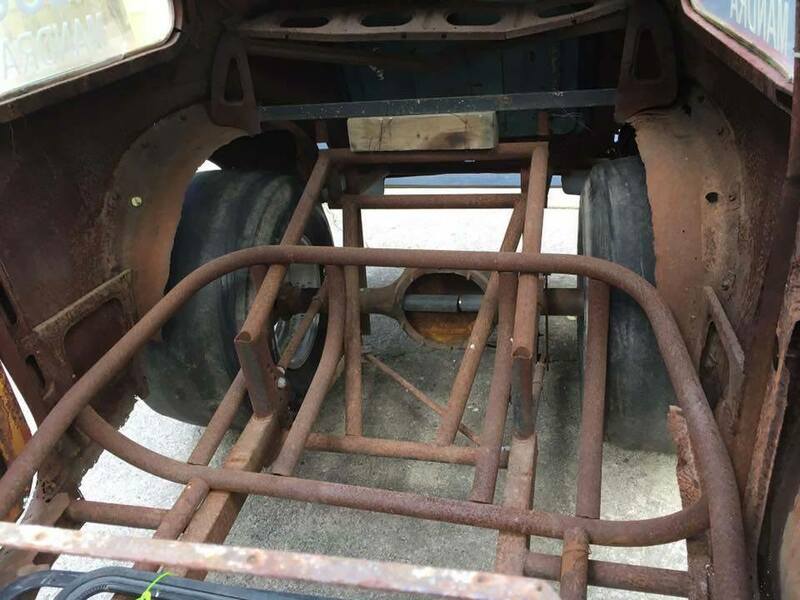 We waited and after many phone calls the company found the mould, made the body and rang me to get it picked up, not happy that i was stuck with the shipping costs, after more calls the company agreed to pay half, and so it was, a big thank you to GKR Transport the body arrived in Perth in May 2018, 11 months late. 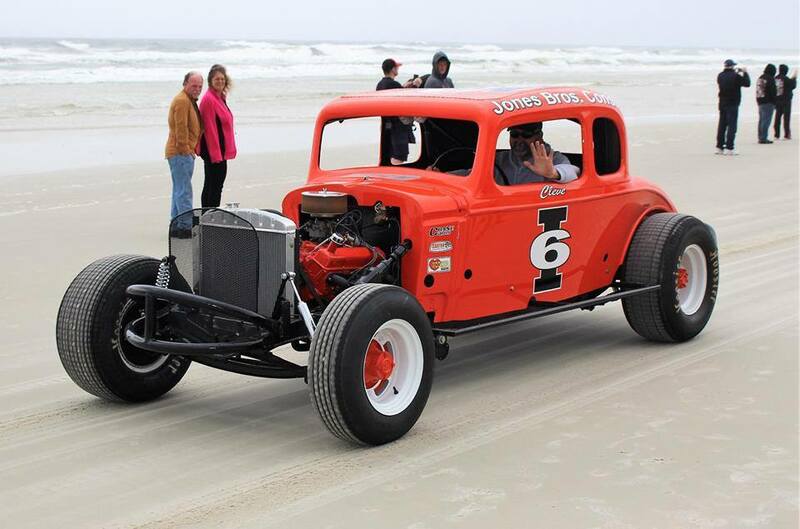 Monte Jones pulled his farther's old Modified out of the woods and restored it. 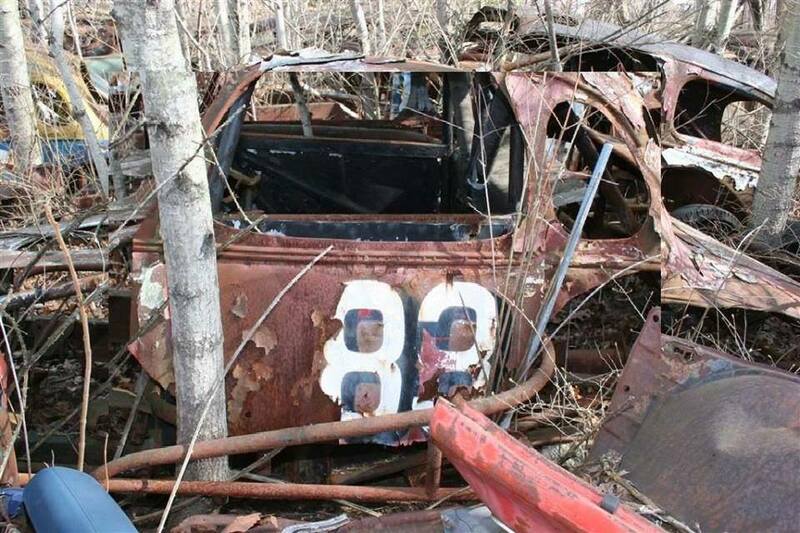 It had been sitting and rusting away since the early 1970's. The engine and drive train had been stored in the garage out of the ellements. 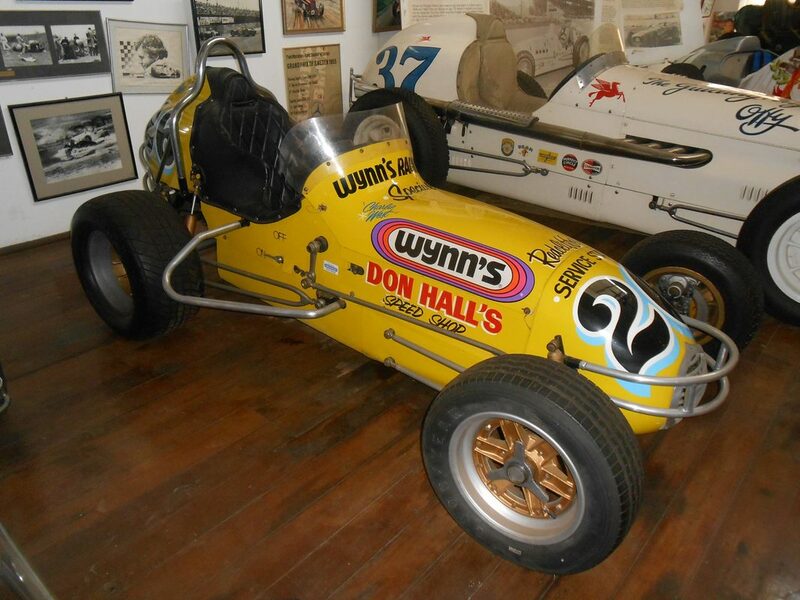 Cleve Jones had raced this car at tracks around the Knoxville Tennesee area until he re-tired the car. Today after the complete resto job the car looks great. The Kiehne brothers, They just live for this stuff, it was such an honour hanging out with these three lovable larrikins at Ross's incredable mini museum and shrine to Speedcars (OK ill say Midgets too) in Brisbane yesterday, What an incredible priviledge to watch Keith Mann react to the phenomenal restoration that Rodney Kiehne has made of the Aussie 1 Murphy Sesco, This is what i love about speedway, incredible machines, built and raced by incredible people. There are some generous folks who made this possible, The smile on Keith's face was seriously cool. 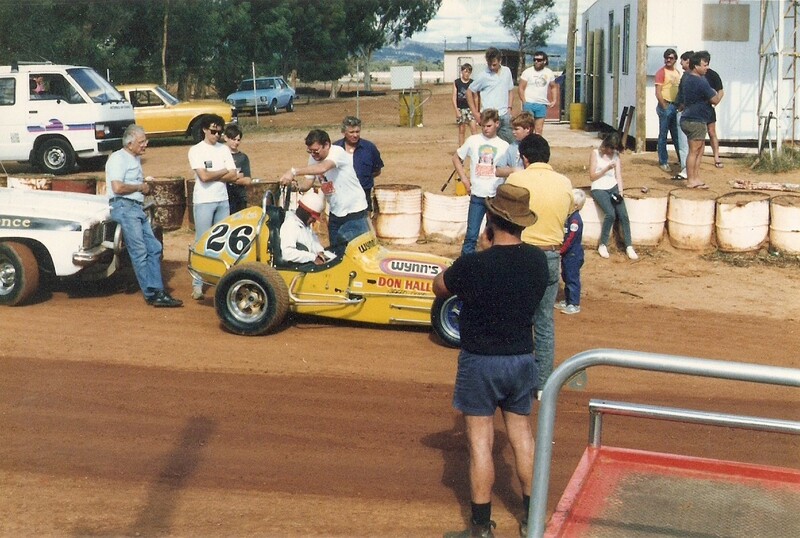 Keith in the pits at Claremont Speedway, scrutineer Ron Chell snr in the back ground checks Richard Bellem's car. Photo: unknown. John purchased the Cliff Special off Brian Linigan in 2017, as a suit restoration. 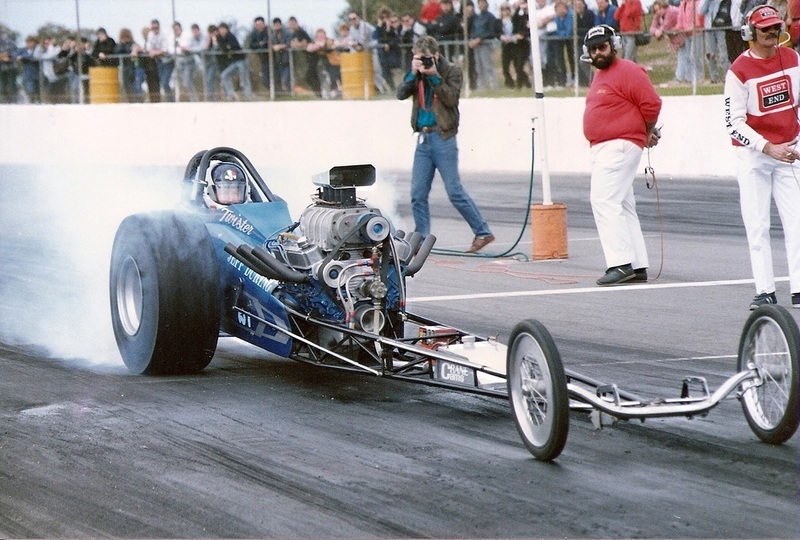 The car was originally built by Peter Annibel based on a A model Ford chassis, The car was crashed heavley as soon as it hit the track and was onsold to Terry Clifford who rebuilt the car in the mid 1960's with a tube chassis. The car was powered by a Holden Grey motor with tripple 1 1/4" su carburettors, the rear end in the car was a narrowed up 1936 Ford. 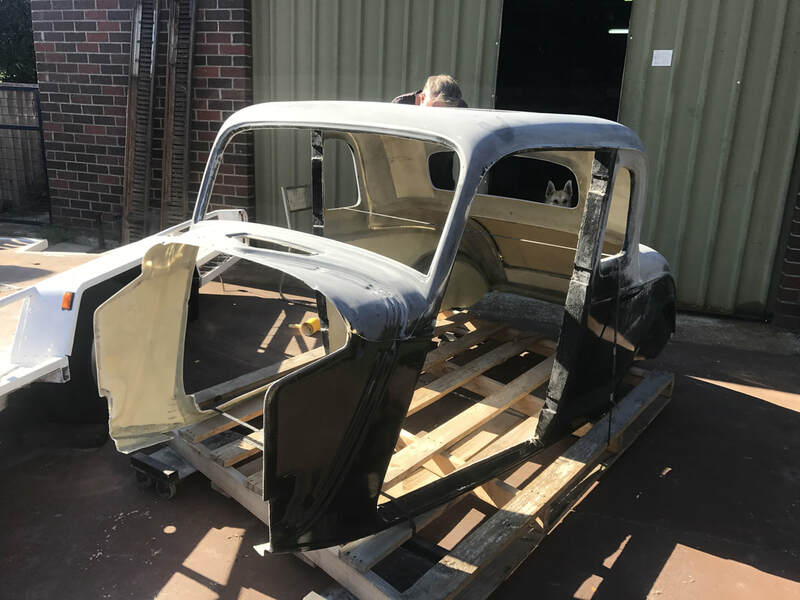 When John took delivery of the car not a lot was known about its history, but thanks to Ray Dean from Sydney the car has been identified and John has commenced the restoration. 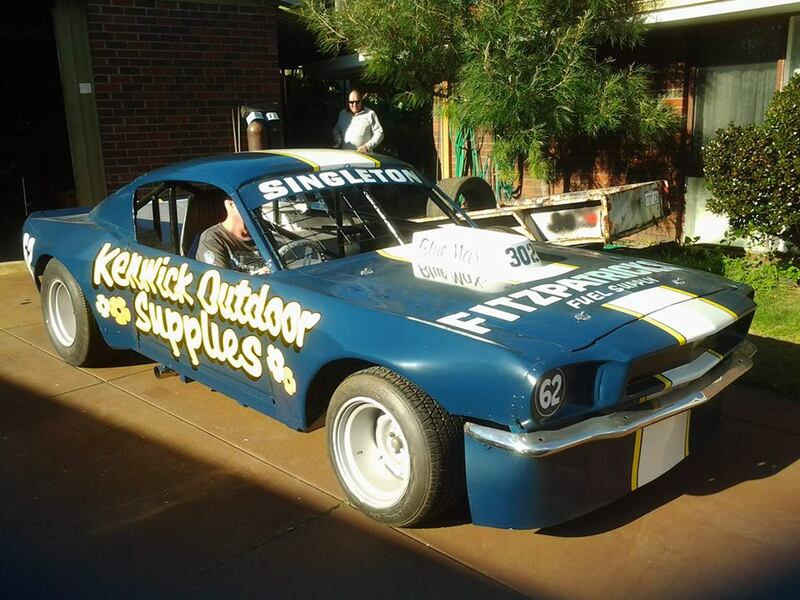 West Australian speedway identity Phil Mansfield is currently restoring one of the most iconic speedway sedans to race in the west, This car that sat at the back of a mechanical dealership for many years was rescued by Phil who has commissioned an unknown engineer to rebuild to car and have it ready for the West Australian Classic Speedway Associations annual show at Glouster Park soon. 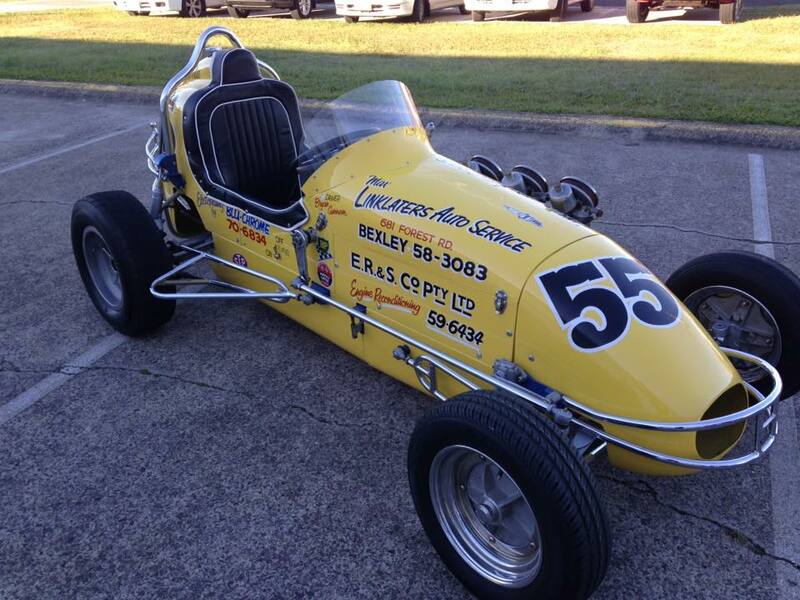 John had done a beautiful job on building a replica of the the first race car he ever raced, John from NSW spent time racing cars at the now closed Texas Speedway and then the Inverell Speedway when that first opened. 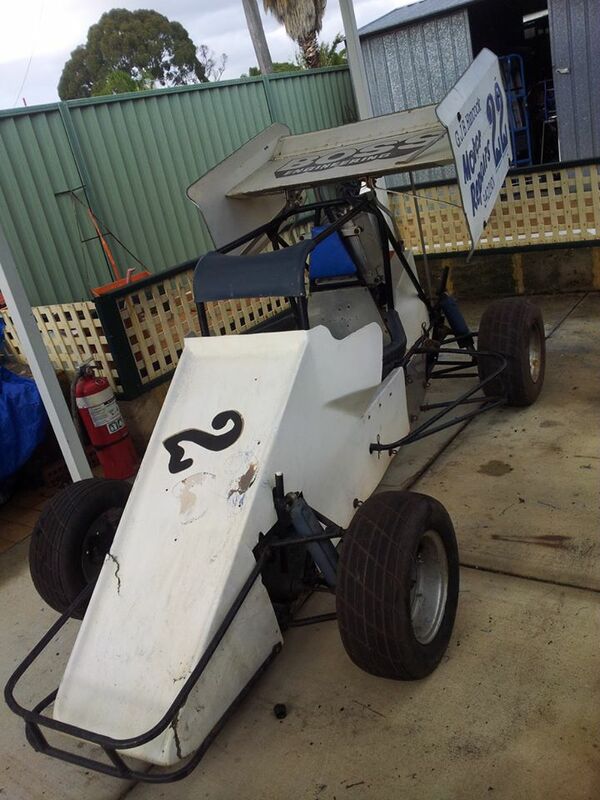 Brian Curtis previously from South Australia now living in Western Australia is currently restoring a Formula 500, we don't have a lot of information on Brian's project just yet, but we will add updates as the car procedes. 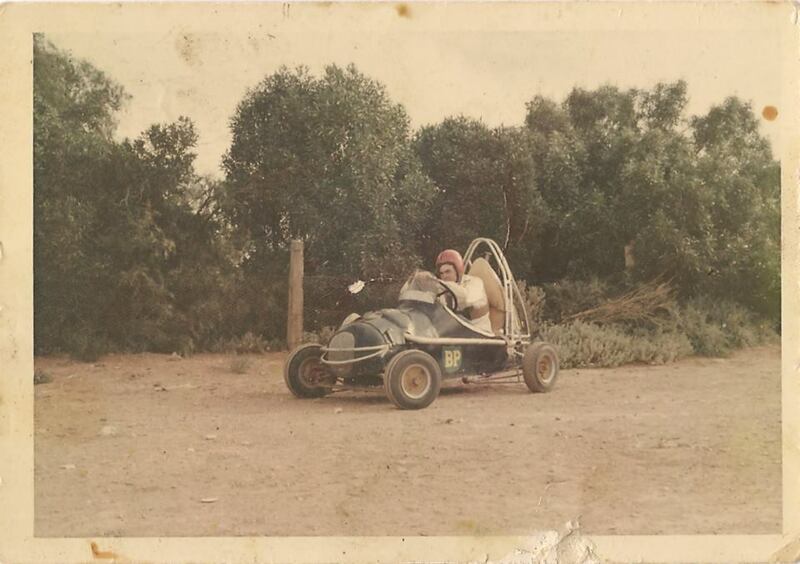 1965 Brian as a 15 year old at Manna Hill in South Australia, TQ Speedway meeting were held at the horse track behind the Mannahill railway station. 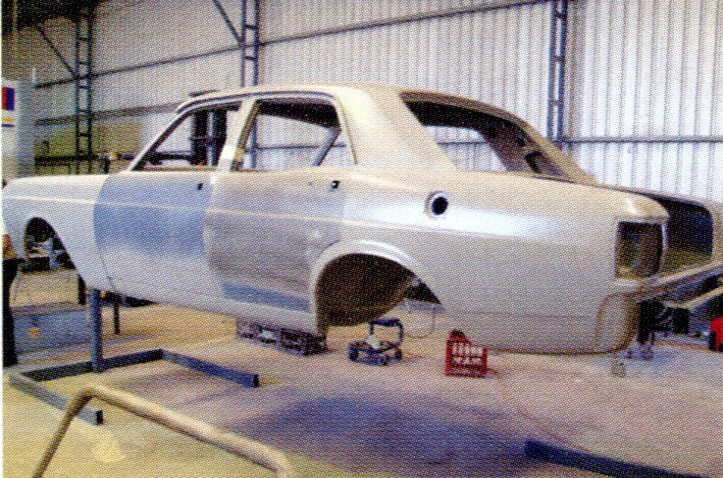 Brian has done very well concidering he has fought off a life threatining situation to be currently cancer free, and still manage to move along with his restoration, as you can see the car is looking very neat and getting closer to completion. 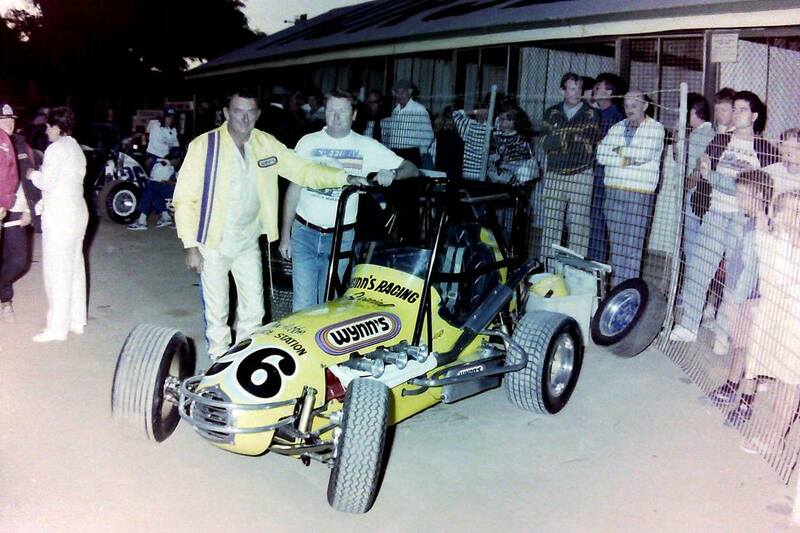 Trevor Watts: opened up the age old debate with a post on Aussie Speedway Memories facebook over the Liklatter speedcar that Brian Cunneen raced, prior to it coming to West Australia for Charlie West to race. 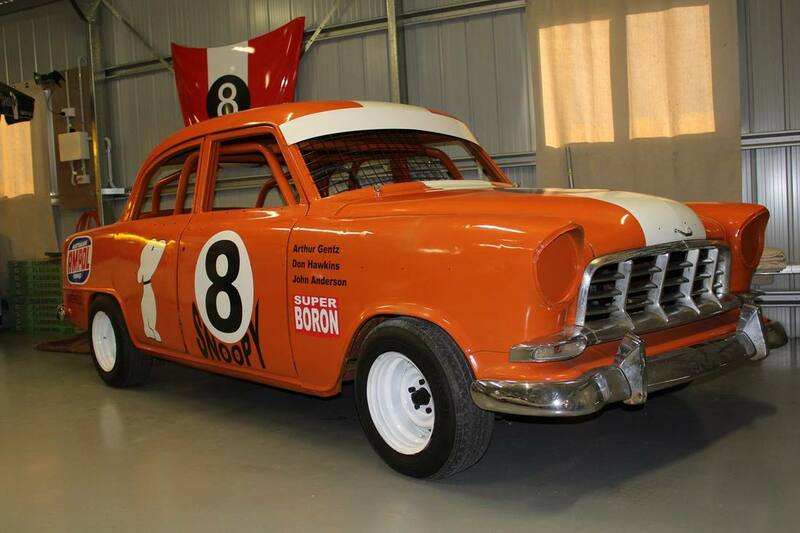 The car has been restored and is on display in the York Motor Museum in West Australia, restored to how Charlie West raced it. 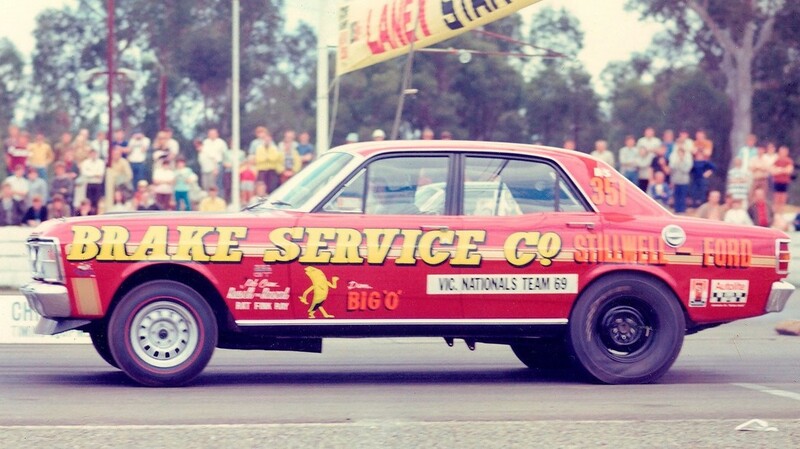 A late mate of Trevor has built a replica of the car but to the specs when Brian Cunneen raced the car in the east, The comments varied on the matter from, A replica is not allowable if the original car is still in existance, To if you look closely at the photo's the car was modified upon heading West and this is how Charlie raced the car. The replica however is very close to being identical to the Cunneen car. 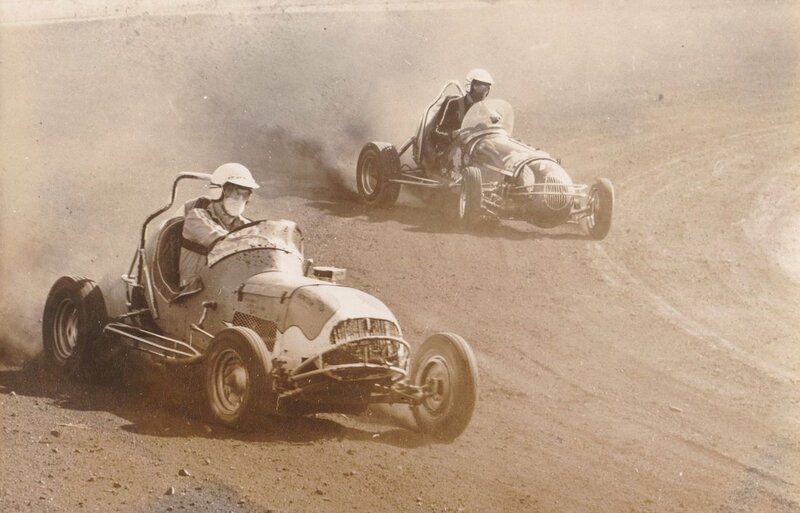 based on the fact that the cars design was altered between the drivers and both have history with the car, maybe the Cunneen car is lost and the replica is a very important part of speedway history. 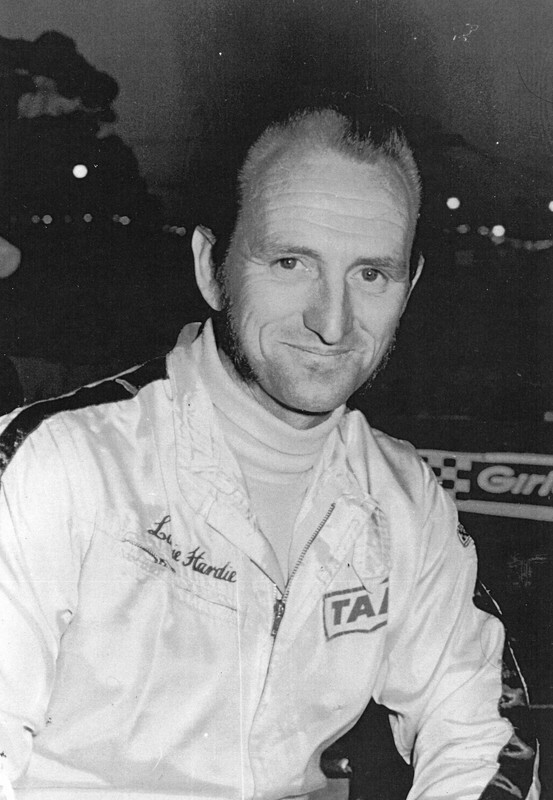 Mick Thompson recalls: Linklatter was the car owner and not a racer, The car was raced by drivers such as Barry Butterworth, Brian Cunneen, Johnny Stewart, Jeff Freeman and John Harvey and possibly others, some what a rent a ride all were winners. 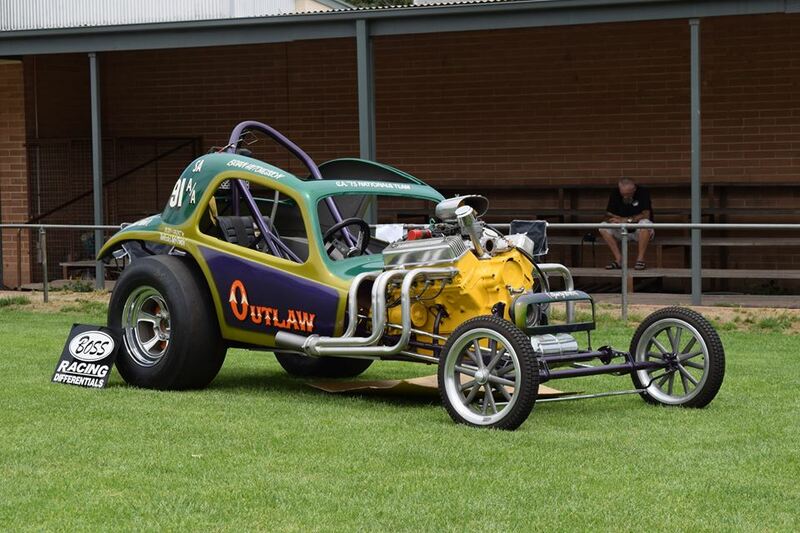 With the Offy's starting to appear on the scene the Linklatter car was deemed to be outdated, that's when Ray Oram purchased the car and then brought it to Western Australia to race. Charlie West not long out of tq's brought the car and heavily modified it, six inches was removed out of the chassis, The parrallal torsion bar rear end was changed to a cross bar, The Murray hubs on the front were removed, The gauge mount bar was reshaped and the bonnet and nose cone replaced. The compression ratio of the engine was increased, The SU carburetors were replaced with fuel injection, A dry sump oil system was added driven by a International tractor power pump fitted as a timing cover, The radiator was upgraded, The composite wheel were changed to Hallibrand, The exhaust system was scraped and a replacement fitted. 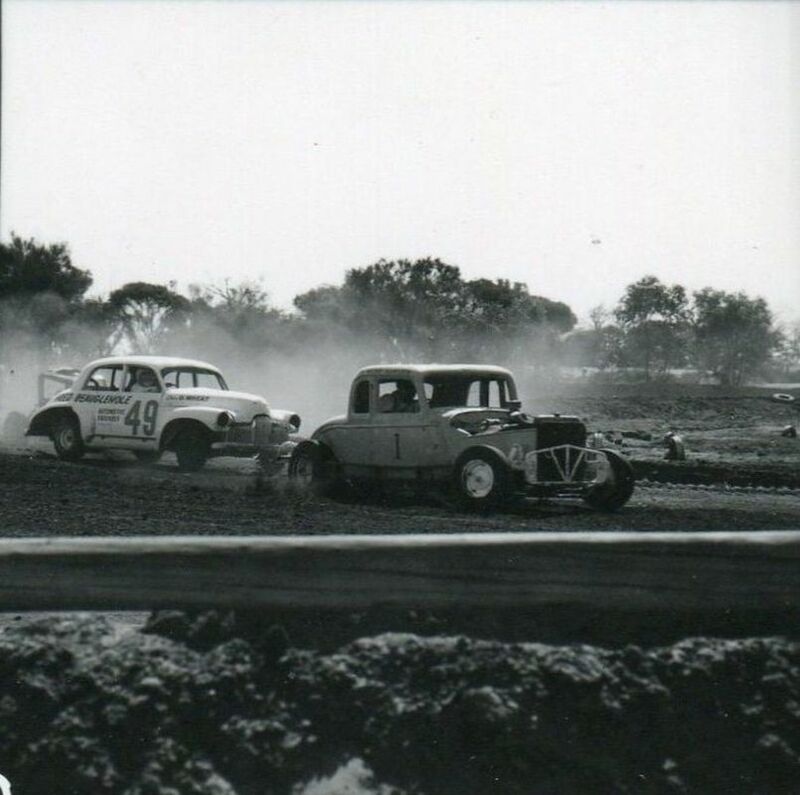 Charlie West and Mick Thomson in the pits at Claremont Speedway. Photo: unknown. 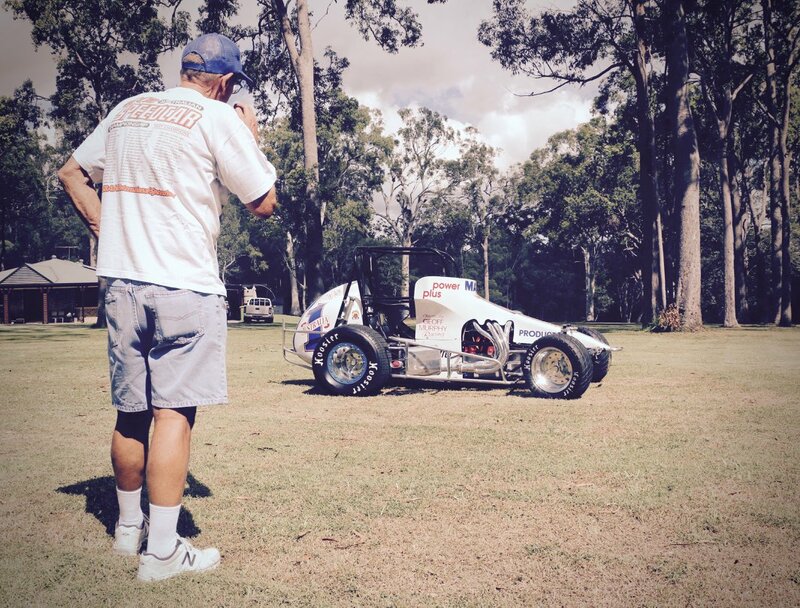 Mick Thomson attends to Bim Keith prior to some hot laps at Ellenbrook. Bims 2 boys are behind the car and Micks in front. Photo: unknown. 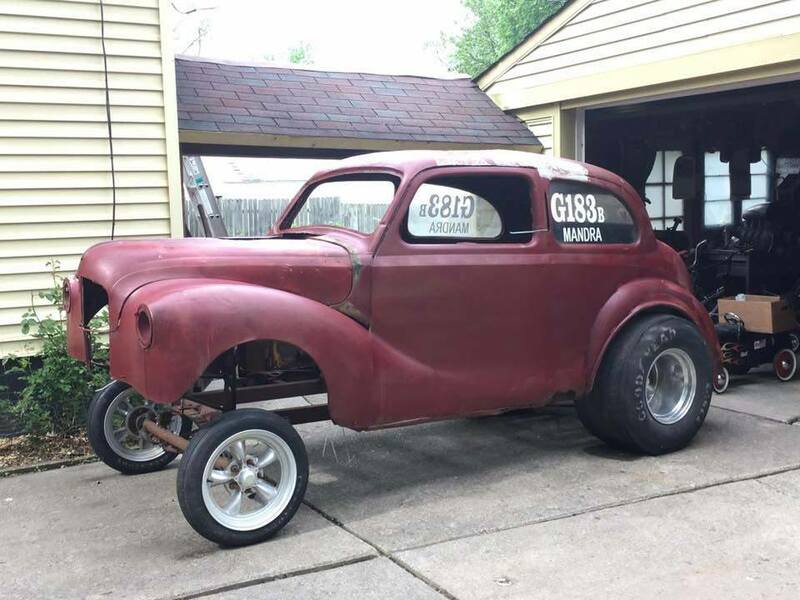 Reported as For Sale $3,500.00. Detroit USA. contact details unknown. 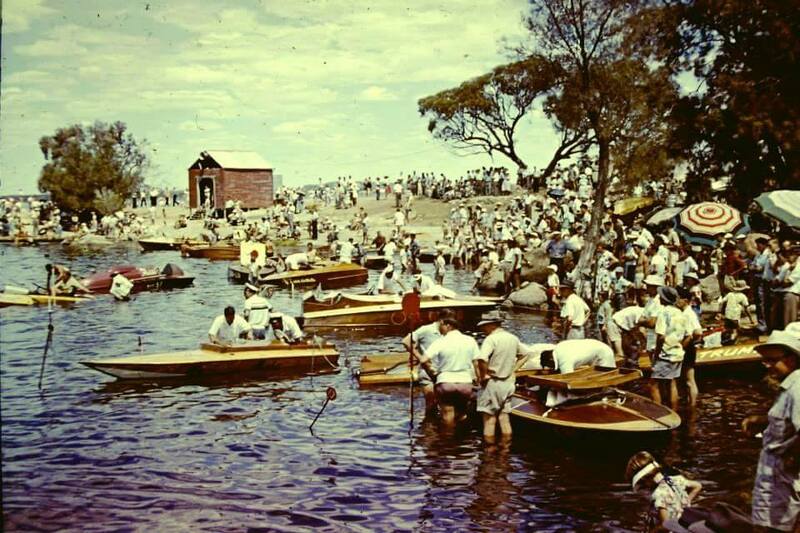 From Perth Western Australia comes Ray Hudson and his fine collection of speedboats from golden era of power boat racing in Australia. 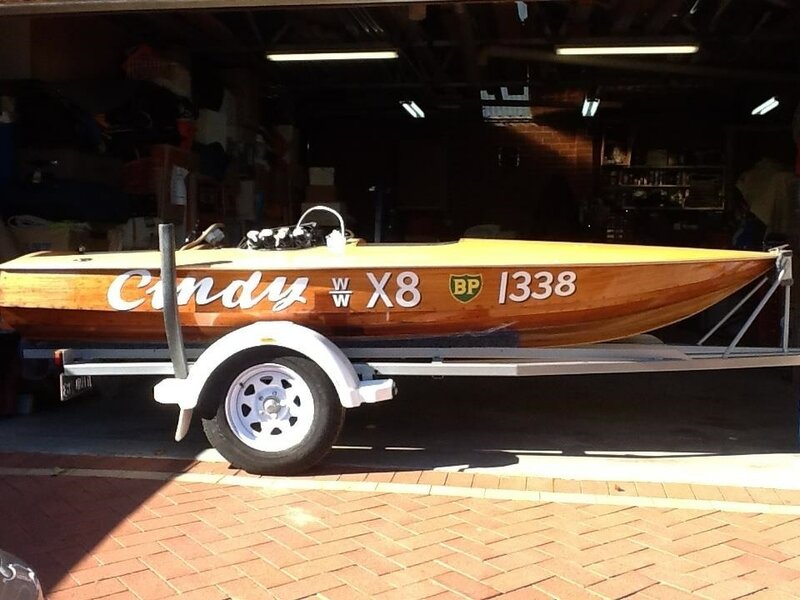 Cindy was built in 1960, owned and raced by Gary Gascoigne in Western Australia, This boat has since been fully restored with one of its original motors, A Peugot 404, This engine originaly had 4 Amal Monobloc carburetors but Ray was unable to source these so installed a set of quad Mikuni carburetors off a Yamaha R1 1998 motorcycle. 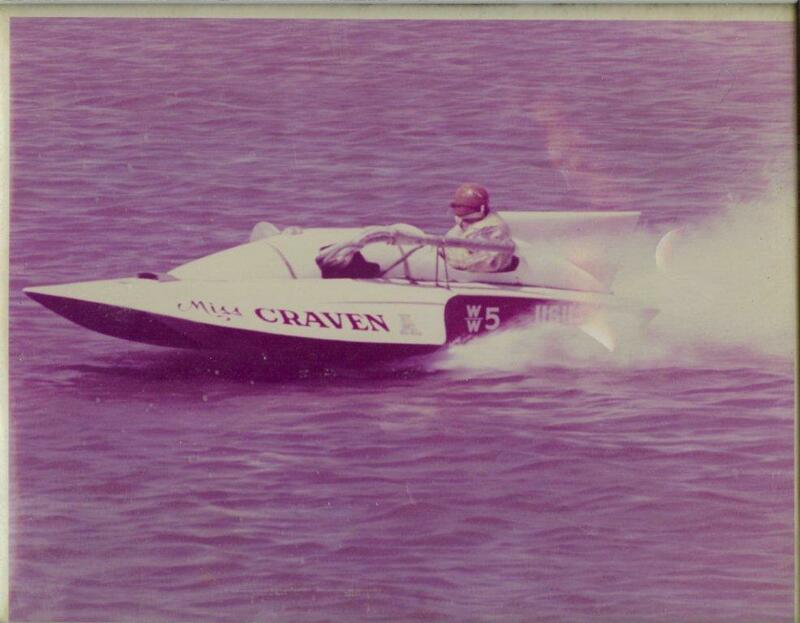 Miss Craven was built around 1966 and raced by Harold Gascoigne, and then Gary Gascoigne Harolds son, This boat was later re-named Titan, This Hydroplane is currently under restoration, Titan finished her racing career around 1977 with a Cosworth BDD motor. 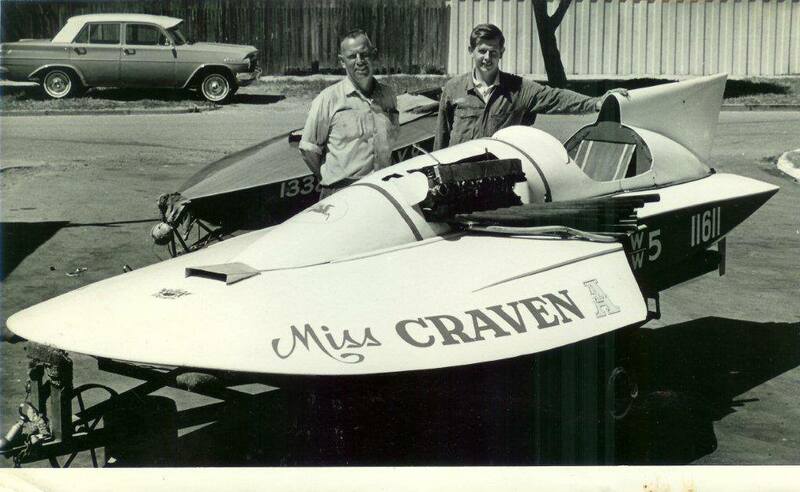 Ray did not acquire this motor with the boat, Titan still holds the West Australian speed record at just over 101mph, That record was set in 1974 at Matilda Bay for a 1.6 litre engine. 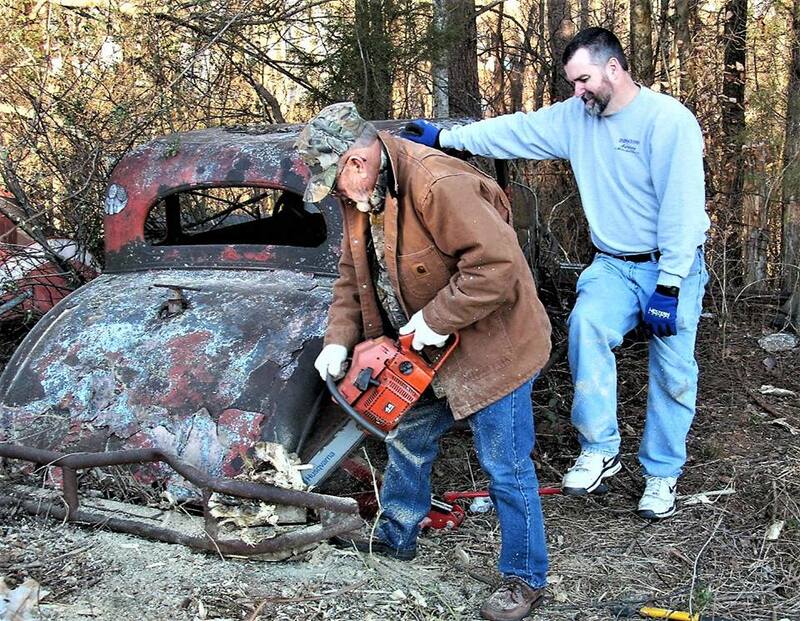 Ray is also restoring a 12ft sciff that was built by Clyde and Murray Stanard in 1958 by the name of Tempo four. Tempo four which was driven by Murray Stanard, held many West Australian and Australian titles, for both championship races and speed records, the boat is powered by one of its original motors, a Peugeot 203. 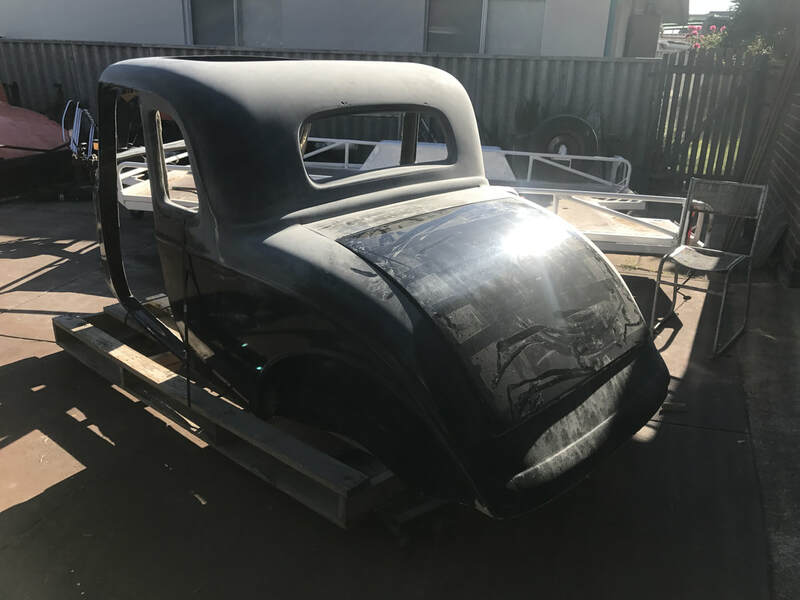 This entire restoration did not happen overnight, The whole project took around seven years to complete by the West Australian owner Mark Negri, Just in time for the 2016 all Ford day held in Bathurst NSW, The collection consists of the Racecar, Truck and Caravan. 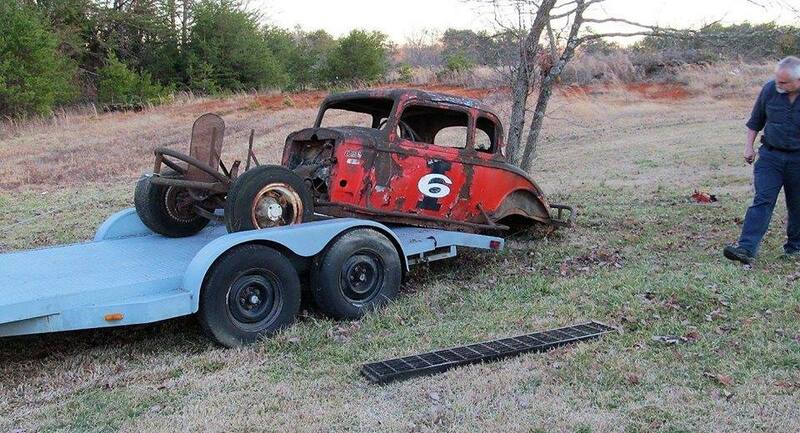 Prior to the restoration commencing the then owner Mark Negri was aware that the car had previous racing history, but did not know its exact life, At one point he did on-sell the car, only to have to go and convince the new owner, to sell him back the car once he did track down more of the cars history. 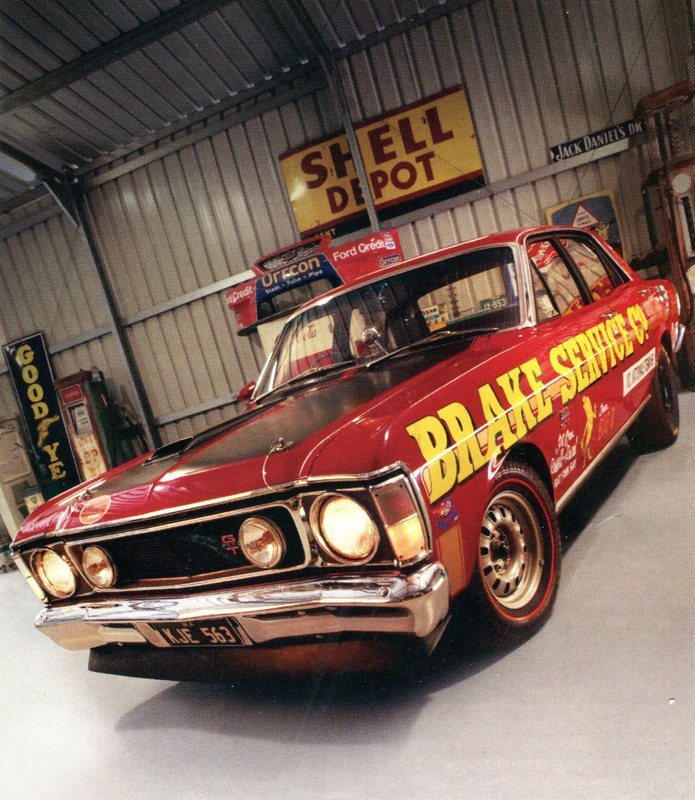 While re-searching the cars history one of Marks mates, Rob Chalwell happened to notice the Victorian number plate on the car at a drag meet in a write up in an old hot rod magazine, Mark had enough information on hand to trace the plates to the car he had sold. 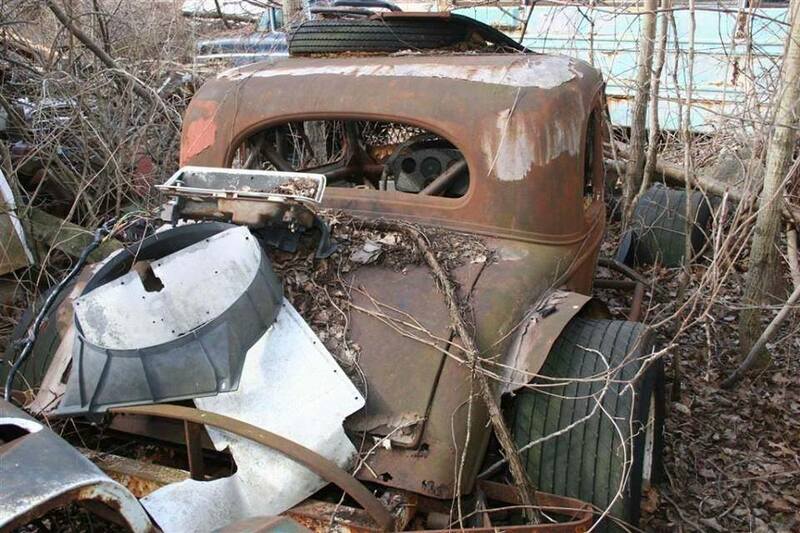 With the identity of the car now know and back in Marks possession, the restoration began, Mark has invested around one hundred and twenty thousand dollars into the project, that was on top of what he paid for the car, The restoration took around seven years to complete, that also included the truck and caravan. 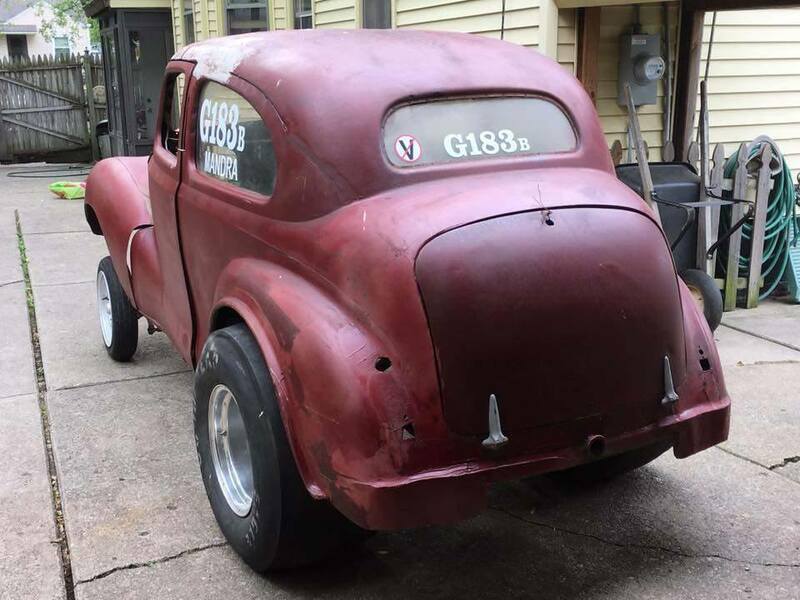 The mate who identified the car through the old hot rod magazine, Rob Chalwell fully rebuilt the 351 Cleveland engine as well as the top loader gearbox and the entire suspension that featured an adjustable ladder bar assembly over the original leaf springs. 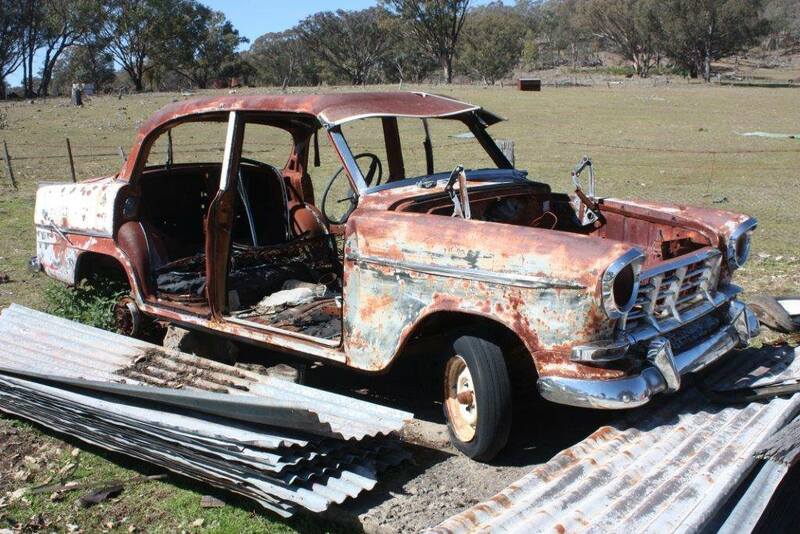 In addition to the race car, Mark managed to track down the Ford truck that transported the car and then the caravan that Larry towed behind the truck, The original truck was found, on a farm and still working in Victoria on the Mornington Peninsula, Mark brought the truck and drove it back to WA, to also be restored by Rob Chalwell. Mark then decided that to complete the collection a caravan was required, so he restored one of them as well. Not the original but one very similar in appearance, The ultimate display was now complete. One of our Speedway and Road Race history editors Ralphy Taylor has sent us some pics of his visit to Java in Indonesia, Ralphy was there with the family because of Nikita, his daughter, with her modelling commitments, In there spare time the team took time out to visit the top custom shop in Java. 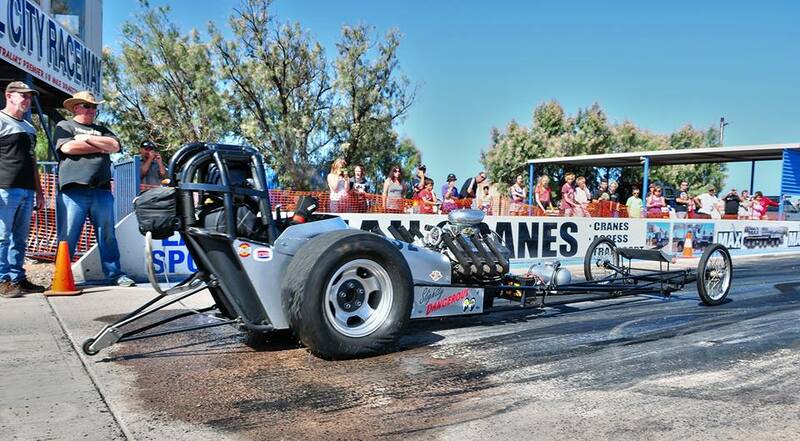 Slightly Dangerous is a Dragstar that dates back to the Brooksfield Dragway days at Two Wells in South Australia, Restored and owned by Kym White it realy does look the part at the nostalgia drags. Vince Gallinagh is the proud owner operator of this 1947 International Farmall Grader, The Corrigin Road Board originally brought two of these machines new, They were considered to be state of the art in there day as they were fully equipped with a hydraulic system to control the graders blade, This meant that the whole operation of the machine could be handled from the drivers seat, Both these graders were used for maintaining the roads in the Corrigin district right up to about 1970. When these graders were decommissioned one was brought by a local farmer in Vic Hill, Mr Hill used his grader around the farm for quite some time until it fell into a state of dis-repair. In 2010 Vince bought the wreck and fully restored it back to its previous working condition, not just for show, Vince has put the grader to work in the restoration of West Coast Speedway in Corrigin, West Australia. 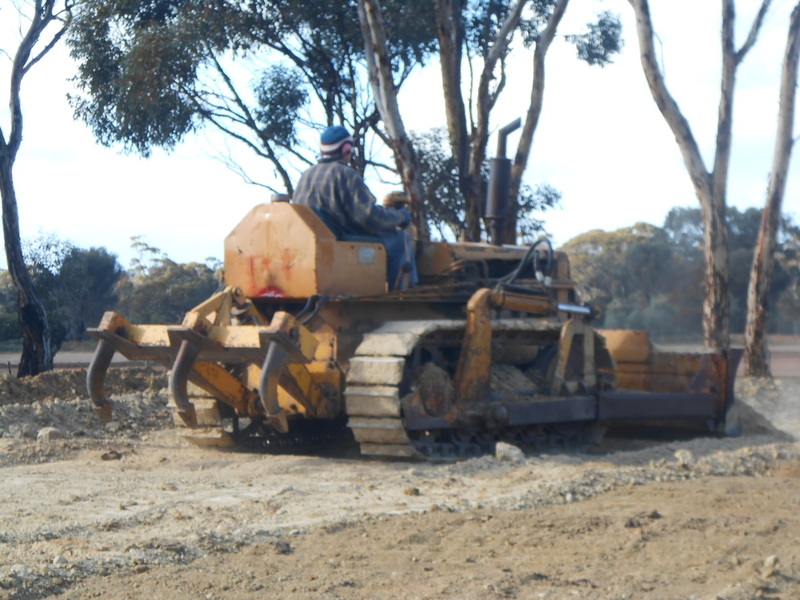 Ron and his bulldozer are a regular attraction at restoration days of Corrigin Speedway, It is remarkable the power and torque these vintage machines have and in the hands of these vintage operators that own and maintain them how much dirt they can shift in a day. 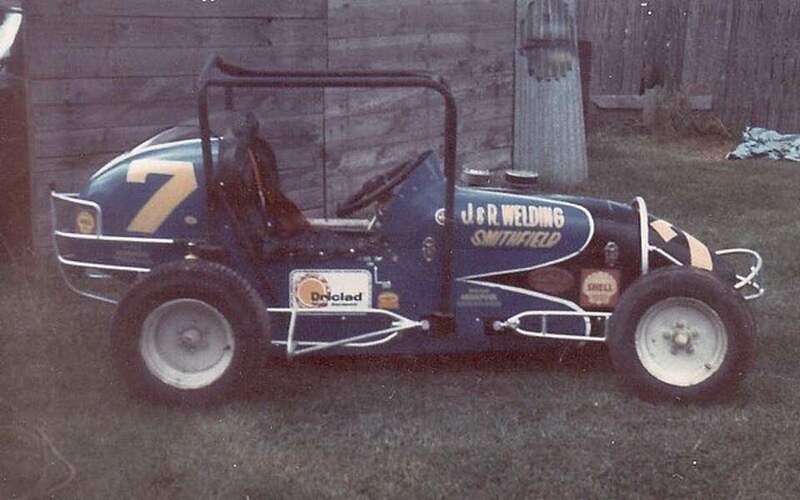 John Campbell has just snapped up this little ripper, A 186 Holden powered super modified, The car was a regular around the South Australian - Victorian circuit in the 1970's. 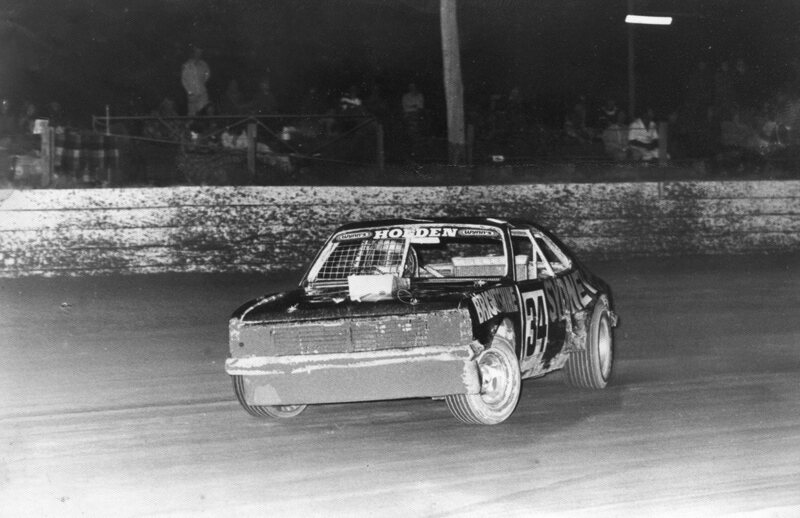 The car came with this Modified Rod style body that John may fit at a later date.